From an early age, I’ve taken great pleasure in reading. I loved the Dr. Seuss books, and Alice in Wonderland. I spent many an afternoon reading the Baum books and Tales from Other Lands. Dad loved to read to my sister and me in his cozy den and I wandered through the many volumes in his library. I am particularly fond of musicals and classical music. Our family went to the L.A. Light Opera, so I was able to see musicals first hand. My favorites include: Oklahoma, Carousel, West Side Story, Guys and Dolls, and My Fair Lady. As for classical music, I recall listening to Tchaikovsky’s Nutcracker Suite over and over again. I enjoyed listening to the Mendelssohn Violin Concerto and stirring orchestral excerpts from Carmen. I have a special love for Gilbert and Sullivan and am a lifetime member of the Gilbert and Sullivan Society in England. My favorite pieces were the patter songs and I tried to sing them as fast as I could. In general, I liked music that was spirited and fast. The long, slow andantes had to wait until I got older to be appreciated. My 78 player brought me hours of untold pleasure. I can remember sitting on the floor of my bedroom, following the text and pictures of record readers, which were popular in the 1940s and 50s. My favorites were the Capitol albums of Bozo and the Disney stories. I also enjoyed watching the slow spinning of 16s as they related The Adventures of Tom Sawyer or The Just So Stories, told by such luminaries as Gene Lockhart, Jeff Chandler, and the incomparable Marvin Miller, the man of a hundred voices. I have always been attracted to rivers ever since my Dad took me to the Rogue River in 1953. I love to sit in the water, gazing into the mysteries of the swirling currents. I especially like inner tubing, which I began on Big Butte Creek when I was eleven, and then continued on the Rogue River the following year. Since my early youth, I’ve collected minerals, primarily from Southern California and Southern Oregon. The Mojave Desert offers great opportunities for gathering jaspers, agates, and borate minerals. Beautiful quartz geodes, calcite crystals, needle-shaped natrolite crystals, and multi-colored jaspers can be found along the shores of the Rogue River. I have a special fondness for Ancient Greek culture, the Homeric epics, noble tragedies, and laugh aloud comedies. The Greeks were among the first in Western culture to philosophize about nature and man’s place in it. Sometimes I try to imagine what the ancient Greeks must have felt when they began to discover physical laws of nature and the wonder of number. Lately, I’ve become very interested in the relationship between mathematics and life. As for my professional life, I taught Russian, Russian Literature and Culture for several years as a college instructor. In the 1990s, I created Medford Educational International, a think tank which brought me in contact with educators from different countries, and, especially, Russia and the Ukraine. Concurrently, I interviewed local “old-timers”, college professors, family members, so I could preserve their histories, which I did in book form(see My Publications). 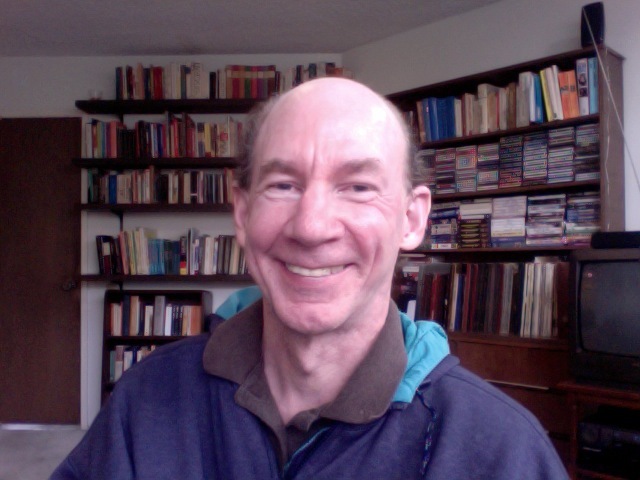 Today I work as a free-lance writer and translator, specializing in Russian literary and educational translations. However, I enjoy thinking about the writing process itself and how certain exercises can tap into the creative spirit. 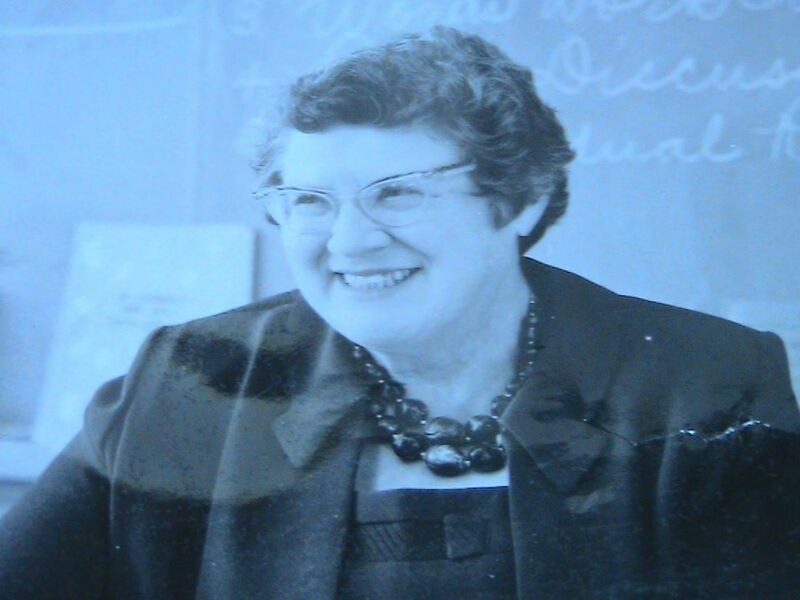 Grandma Lillian, teaching at Chatsworth Junior High School in Southern California. was truly my mentor as she introduced me to the many wonders of learning. At an early age, I learned about nature, numbers and the joy of reading through her guidance. Always receptive to ideas, my grandmother made you think you were the smarter one(you never were). She was able to create an atmosphere of encouragement and excitement. Our talks touched on many topics. In particular, Grandma Lillian and I talked about form in different disciplines. We spoke about form in mineralogy, poetry, topology, musical theater, astronomy. We talked about politics, mathematics, Rene Magritte, Prokofiev, Alice in Wonderland illustrators and Piet Hein’s Grooks. 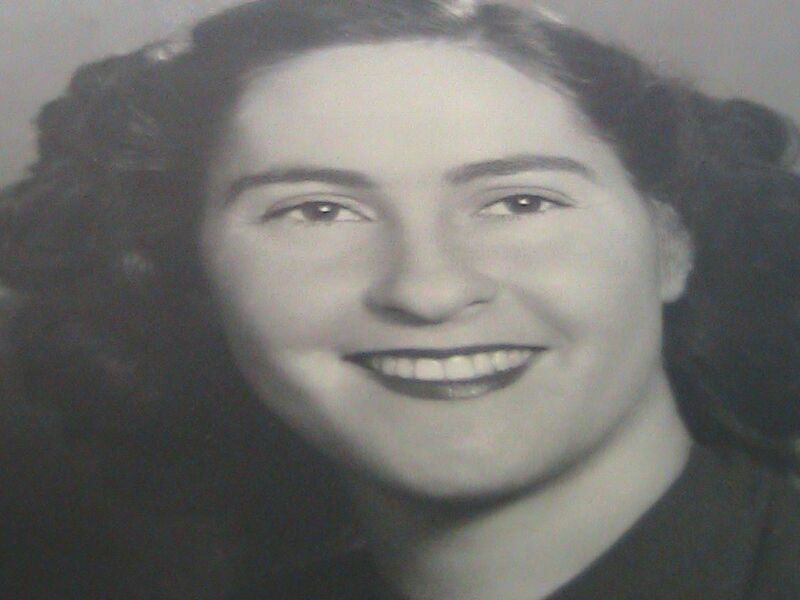 Grandma had a passionate interest in people and their unique characteristics, the adventures they’d had. Before long, I was interviewing people from old timers to university professors. I realized that each person had a special story to tell. 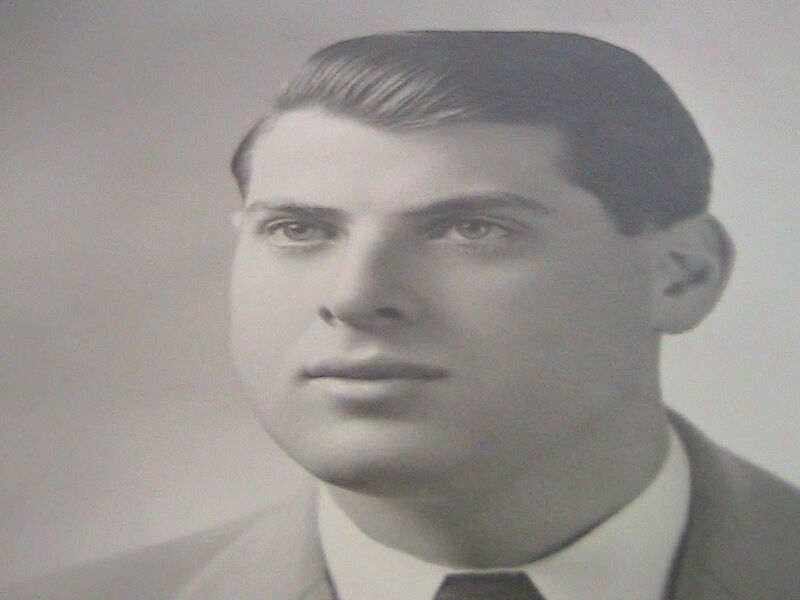 My Grandpa Johnny was almost the opposite of Grandma; he had no high school education and rarely took part in our discussions. But like Grandma, he had a great love for life, especially the natural world. Grandpa Johnny admires the view at the Obstinate J Ranch in Southern Oregon. He was a different kind of teacher, but he, too, was a compelling presence. He loved to talk to children in our neighborhood. And when he was in the garage smoking his cigar , children loved to drop by and ask him questions. He told us all kinds of stories, which probably weren’t true, but we didn’t care, because we loved to hear his voice and see the twinkle in his eyes. He had a child-like quality and had a certain delight in simple things. I remember him slurping his tomato soup in great contentment, crunching his crackers and imbibing his favorite thermos of coffee. In Oregon, he would sit on a rock day after day with his fishing line in the water. And the next day, Grandma would open the refrigerator and display Grandpa’s string of trout with pride. 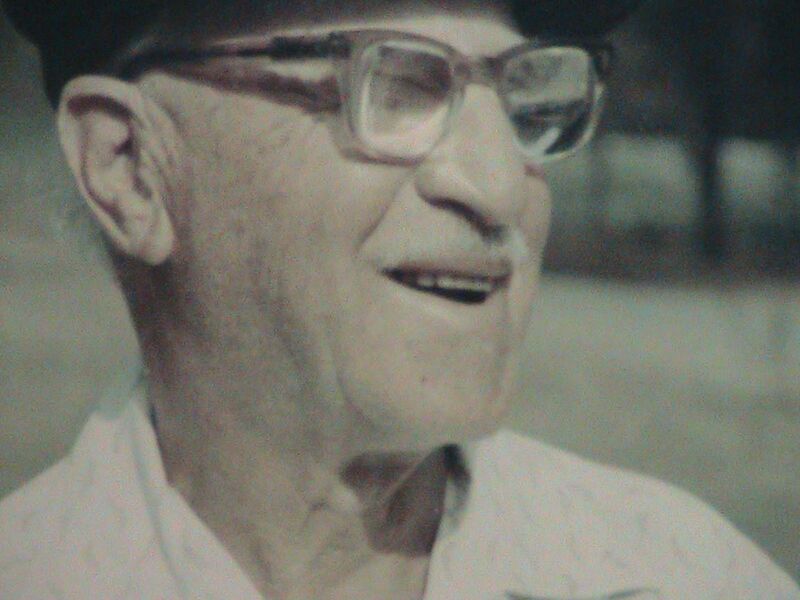 Grandpa Johnny had a great love for birds, and I remember him tossing bread crumbs onto the driveway, awaiting his little friends. He always said to me: “Don’t worry too much, you’re going to get wrinkles.” His love of nature and people are two of the greatest gifts I’ve ever received. I must also acknowledge the wonderful assistance I’ve received from my parents Murray and Twyla Weiss. My Mom’s wedding picture in Southern California in 1946. My Dad’s wedding picture in Southern California in 1946. My Dad was an avid steelhead fisherman, who had an abiding love for nature. When I was just a child, he introduced me to the joy of words and what they denoted. I remember what magical power was contained in “sugar pine”, “lodge pole pine”, “myrtle wood”, “Holstein.” He took my sister Nancy and me rafting when we were young children. Finally, when I was twelve, he let me handle the oars. I developed a passion for inner tubing, which my Dad didn’t have. But he was a good sport and came with me if I needed a partner. He tubed until he was in his upper 70s and rowed until he was in his upper 80s. He taught me how to relax beside a flowing stream and was quick to point out the animal life around me. In our discussions, he was always a stickler for precision. He also pointed out the misuse of words and prided himself on his clarity of speaking. . He had a special liking for boxer dogs, and I saw several of them pass through our lives. Dad had great respect for Native Americans, and was a student of American history. But one of my fondest memories involves sitting with my sister in an armchair listening to Dad tell the story of Treasure Island, which he thought was the perfect adventure story.As a doctor of internal medicine, he was a pioneer in the treatment of type 2 diabetes. My Mom was a veteran of social events, and made our birthdays special. She also kept numerous scrapbooks to preserve our family history, and was our chief photographer, and director of our 8mm. movie camera. Whether Girl Scout Leader, PTA President or participant in a Newspaper Drive for Riverside Drive Elementary School, Mom was always on the go. She had an uncanny ability at organizing the most complex social functions. Perhaps her coup de grace was my grandparents’ 50th wedding anniversary. For that she transformed our yard into a 1920s wonder, complete with Johnny’s Speakeasy, and Barber Shop Quartet. Grandma and Grandpa were picked up in a 1920 “Hupmobile”, and taken to the special scene dotted with their many admirers. My sister Nancy has always been a major influence in my life. 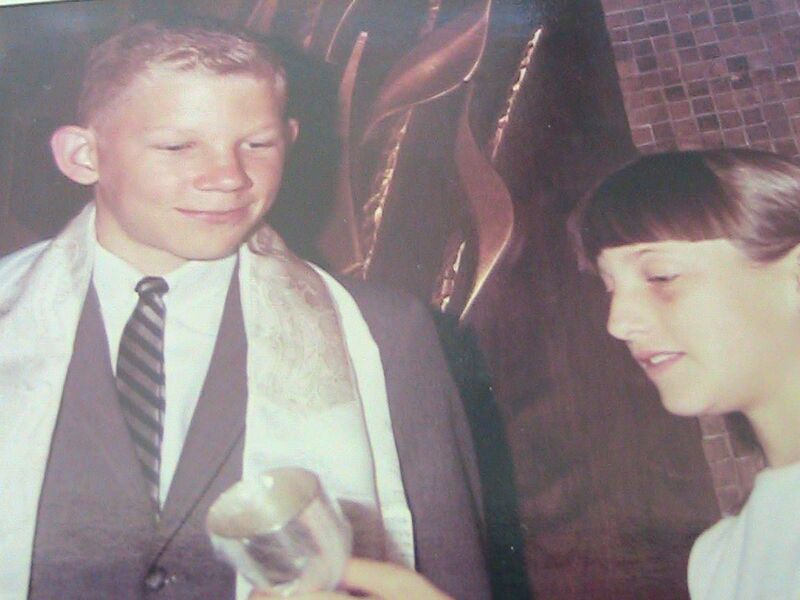 Nancy, looking at my kiddush cup at my Bar Mitzvah, 1966. She and I share a love for music and literature, which has never wavered. Nancy is a talented landscaper, and has an abiding love for roses. She is also a composer and professional photographer. For years she sang in Opera a la Carte under the direction of Richard Sheldon, and formed her own madrigal group, The Dolcian Singers. Nancy is one of the most honest and compassionate people I have ever known. Indeed, my life has been a curious one, alternating between the suburbs of Southern California, and the small towns of Southern Oregon. This family tradition began in 1929 when my grandparents found a quiet, beautiful, inexpensive(there was no electricity!) spot on the Rogue River near McLeod, Oregon. This vacation spot was Casey’s Auto Camp. For the rest of their lives(with the exception of the War years) my grandparents would visit the Rogue River in the summer. When my sister and I were born, we carried on the tradition. Thus, I have had the opportunity to be a part of one of America’s larger cities, Los Angeles, as well as the Rogue Valley. I have been most fortunate, and for that I am truly grateful.